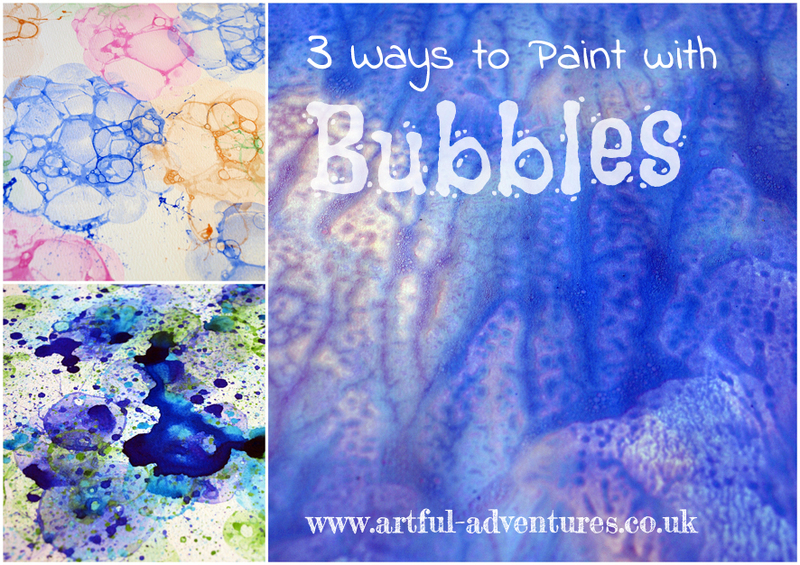 Today we look into different ways we can print with bubbles. I share with you some tutorials. 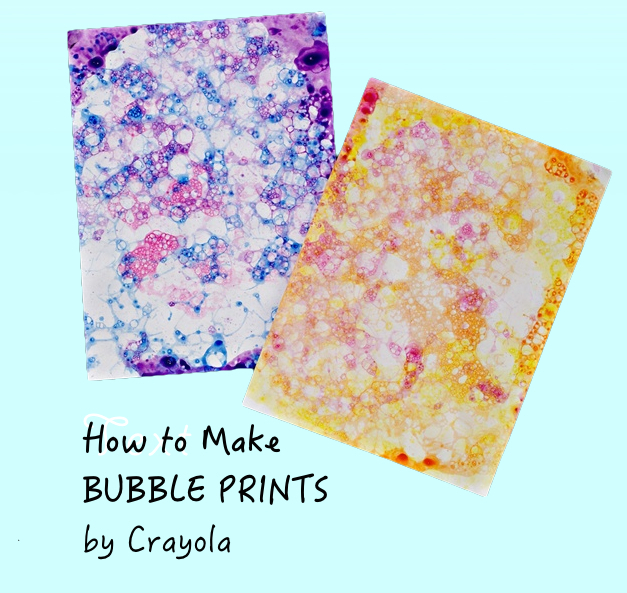 I also have some cool projects to try out after you’ve made your bubble prints. *For Crayola lovers- this tutorial shows how you can put your washable kids’ paint and glitter glue to good use. 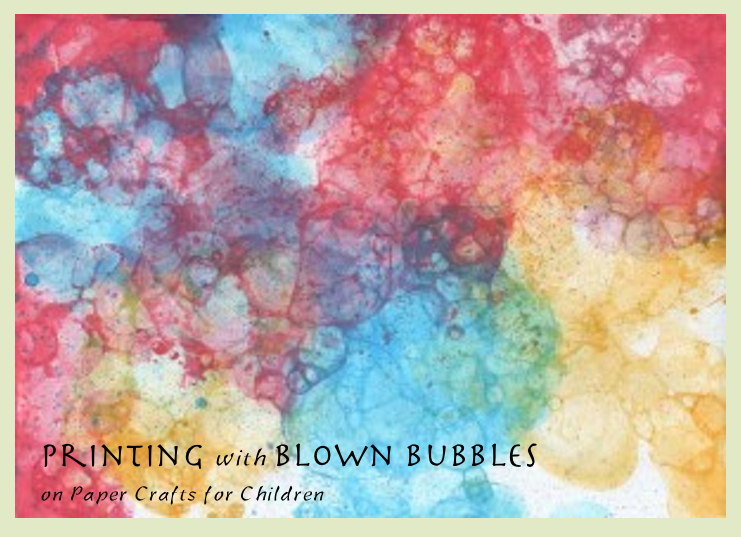 * On top of the usual press onto bubbles printing technique, this tutorial shows the use of a cardboard box and a sponge in bubble art making. So you’re done making your bubble prints? Optional: use coordinating coloured paper in the back and laminate bookmark. 4. 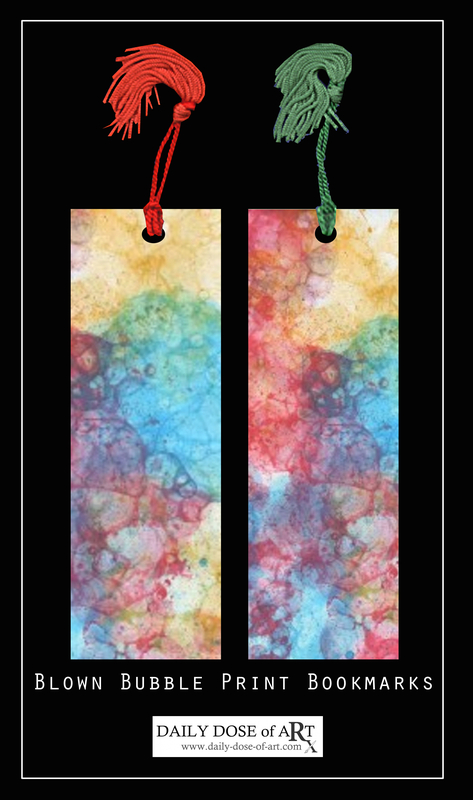 Your bookmarks are now ready for your next adventure in reading. How about making picture frames? 1. 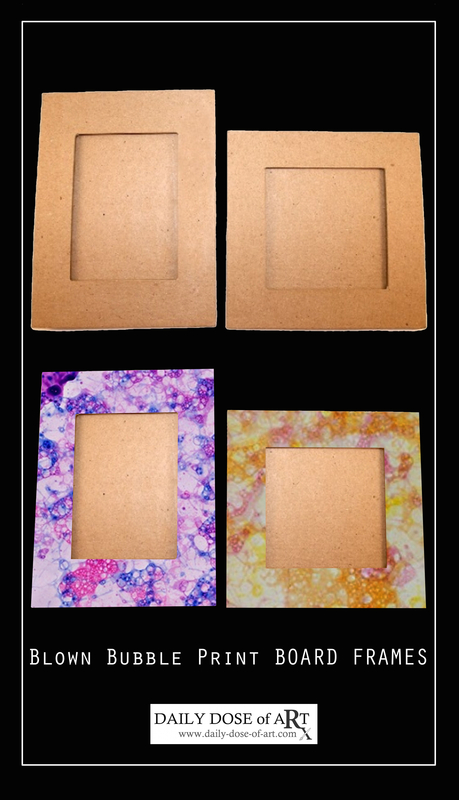 Make your own cardboard frame base or use a store-bought cardboard frame from your local dollar store or craft store. Alternative: Start with a store-bought matte board, cut an identical size board paper, adhere the edges of three sides leaving the top open to allow a photo to be inserted. 2. Cut your bubble print to the size of the frame. 3. Adhere to frame using craft glue. Optional: Make a decorative loop to hang your frame using ribbon or yarn in a coordinating colour. Use hot glue stick to adhere to the back. 4. Your frame is now ready. 3. 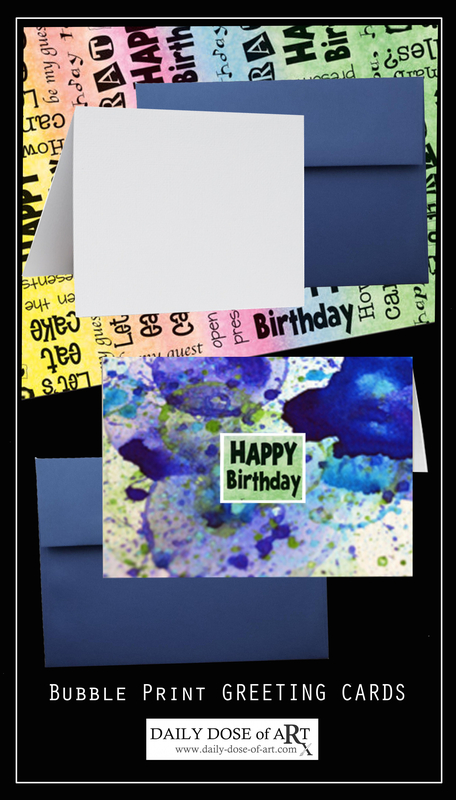 How about making greeting cards? 2. Using plain white paper, cut a piece for the border, adhere using craft glue or glue stick. Set aside. 3. Cut bubble print to the size of blank card; adhere cut piece to the front using craft glue; then adhere greeting centrepiece from Step 2. 4. Your card is now ready to send to someone special. 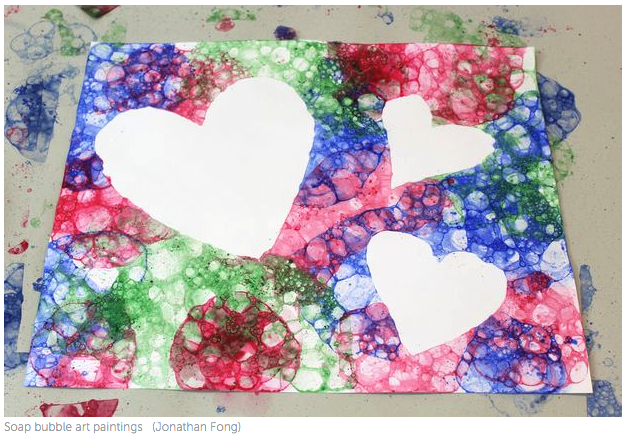 So do…as I suggest – let the art making continue even after you’ve made your bubble prints. 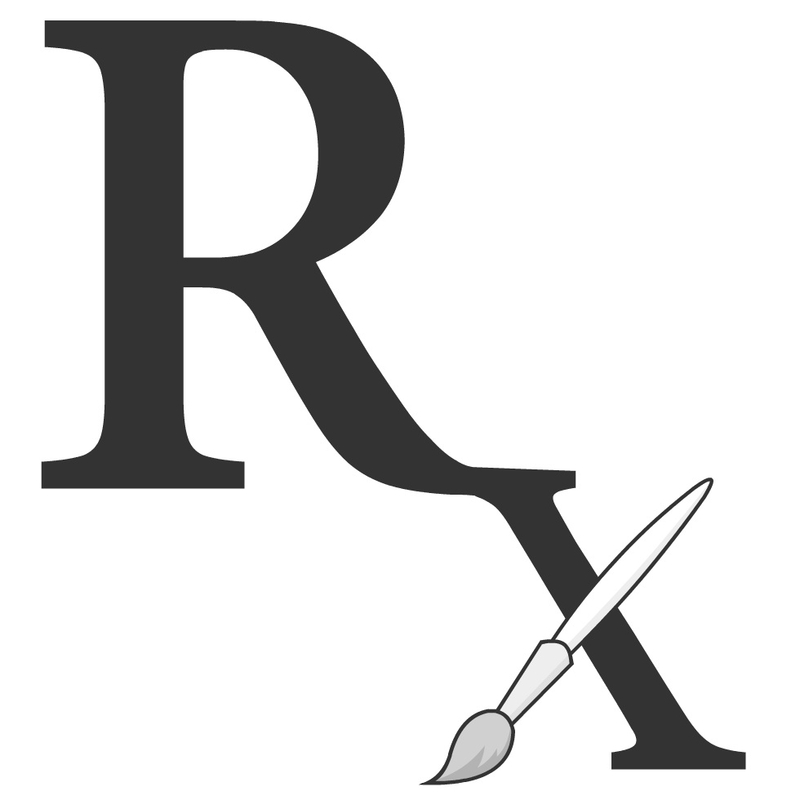 Make something useful for yourself or for someone you love. 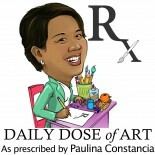 This entry was posted on September 16, 2014 by Paulina Constancia in Bond, Create, Teach and tagged Arts & Crafts, family bonding.